Hello everyone. I hope everyone has enjoyed the weekend. We've been having surprising fine weather here. 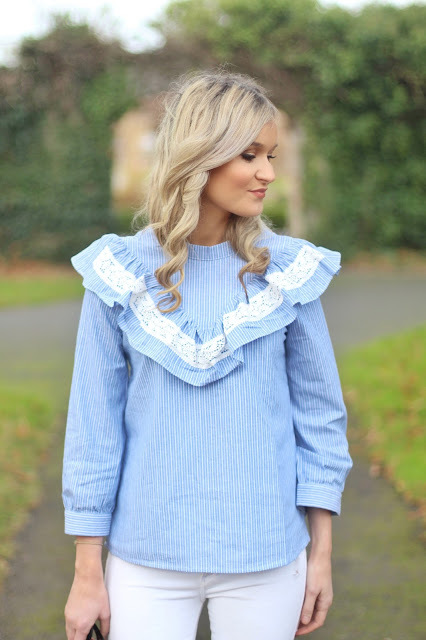 I had been wanting to share this frill top for ages but was too cowardly to take the pictures in the small temperatures! Thankfully it was fine today and took the opportunity to take the pictures. Ive had my eye on this top for ages and after realising I lacked some major casual outfit tops I added it to my cart. Complete bargain for less than €20.